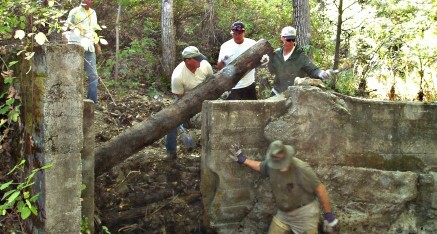 During fish rescues on Finch Creek, the main tributary of Cachagua Creek, CRSA members noticed an old dam that had become an obstacle for adult migration. 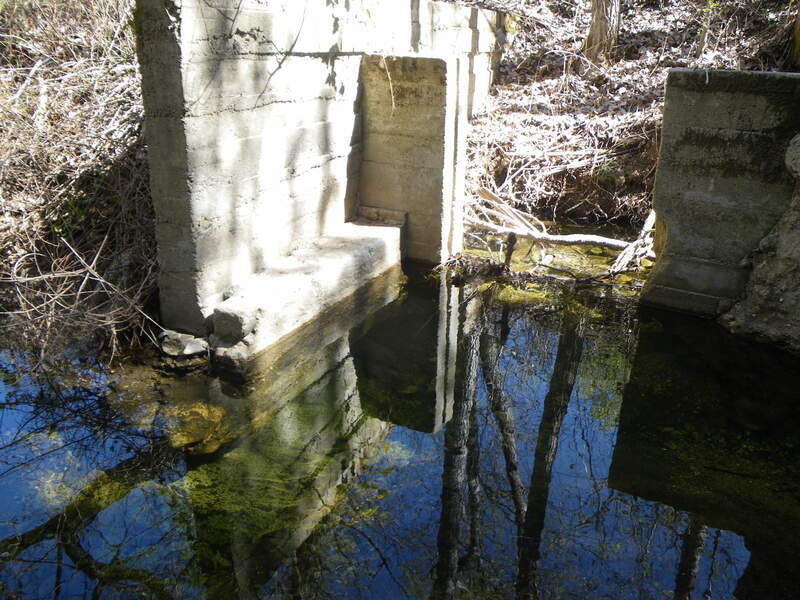 The dam originally had a slot where flash boards could be inserted to hold back water and then removed to allow the creek to flow unobstructed. 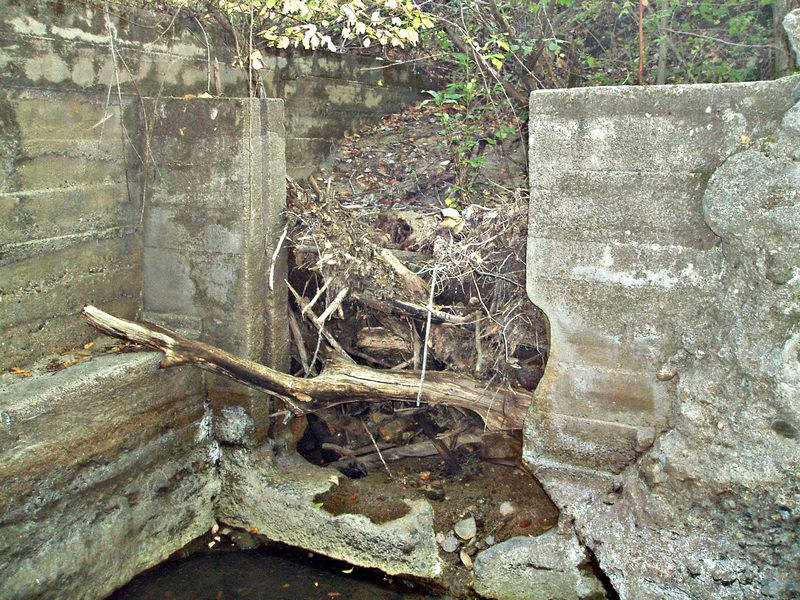 The dam had been abandoned for quite a while and the slot had become filled with debris creating a six foot jump for steelhead at low water or a three to four foot jump at high water. 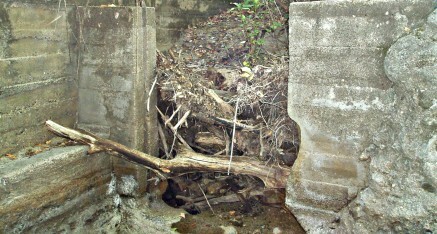 In 2009 after receiving permission from the landowner, seven members of CRSA using only hand tools removed the wood that blocked the slot and then removed most of the sediment that had filled in the small dam. 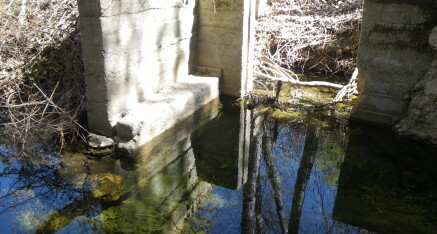 The end result was that CRSA not only removed a severe obstacle for upstream migration but created an excellent plunge pool and spawning area just below the old dam. 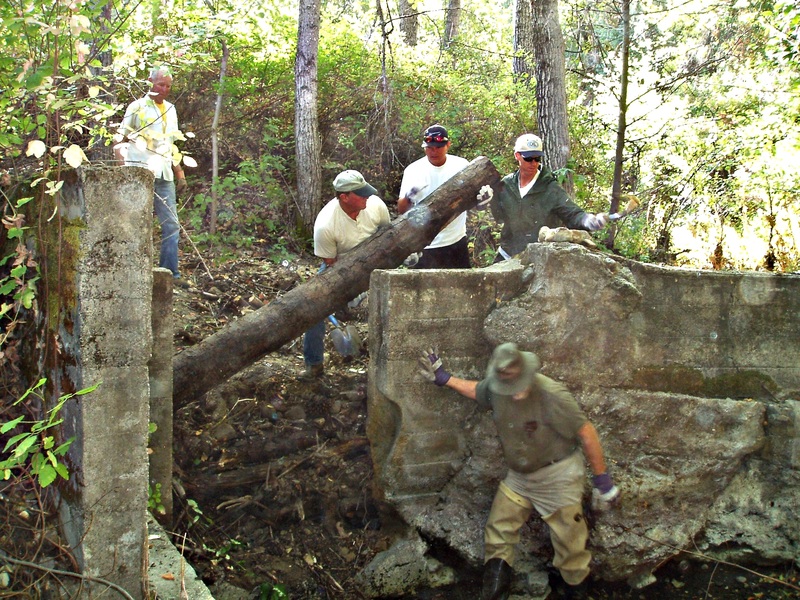 There are many other fish passage obstacles on most of the tributaries of the Carmel River and CRSA would like to see property owners and others work together to have them all removed.